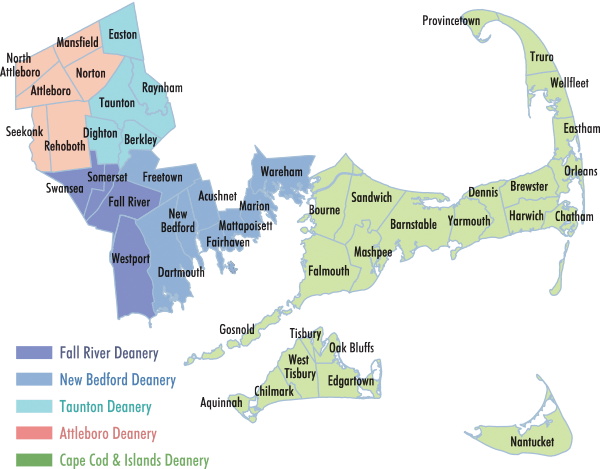 The Fall River Diocese is divided into five territorial districts or deaneries. The Bishop appoints a Vicar Forane, also called a Dean, in each deanery to assist him in the promotion and coordination of apostolic and pastoral activity in that area. 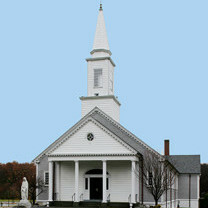 Dean: Rev. Msgr. Stephen J. Avila, V.F. Dean: Very Rev. Jay T. Maddock, V.F. Dean: Very Rev. Daniel W. Lacroix, V.F. Dean: Very Rev. Richard E. Degagne, V.F.